After a morning of checking out the Grand Market, my daughter Sam and I still had a full day and night ahead of us at the Atlantic City Food and Wine Festival. We got back to the press room at Caesar’s Resort in time for a fun and candid conversation with Martha Stewart . It was a press only round table. 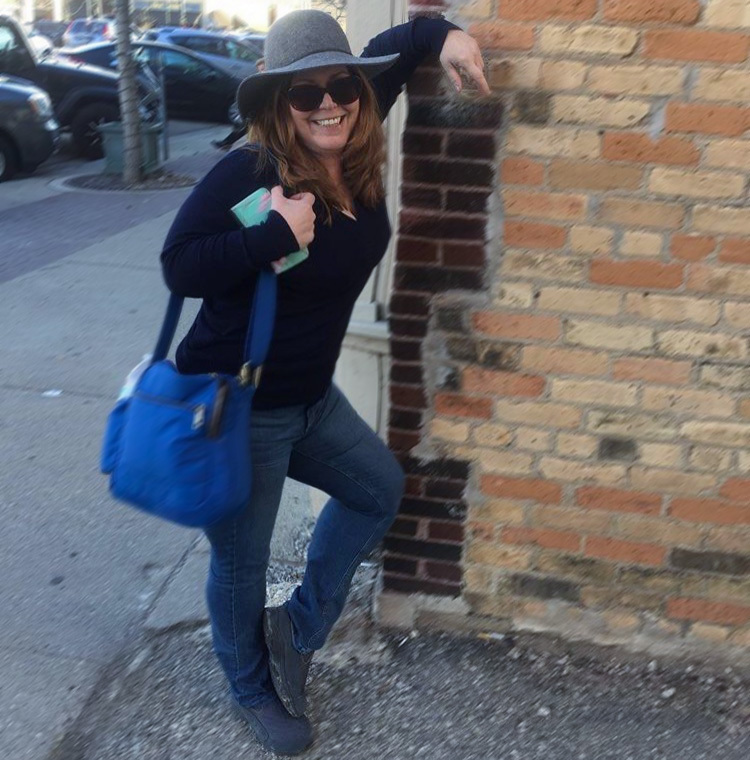 I had never met her before and was surprised how relaxed she was. She also added, “I use raspberries in vodka. I use strawberries. I grow a lot of citrus on my farm, lots of lemons and limes. I use that a lot for the drinks." 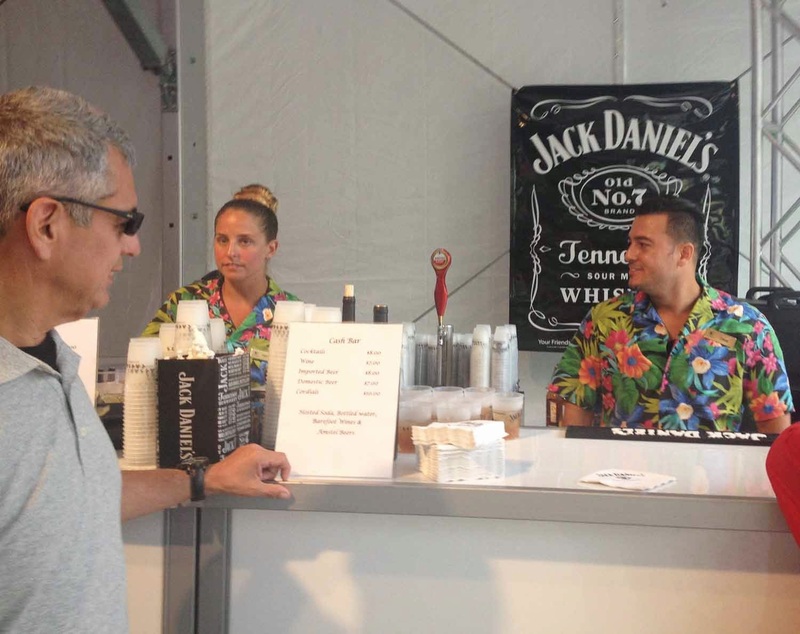 We left the press room and headed to the tent on the beach at Caesar’s for the Burger Bash. I have to say I was a bit disappointed. They ran out of burgers pretty quickly and seemed to bring more sporadically. What did come in was terrific, however. Our favorites were: Black Bean & Quinoa Veggie Burger with roasted beets, tarragon aioli and pea tendrils; Roasted Lamb Burger with feta, fresh herbs, oven roasted tomatoes and Kalamata olive oil; Lobster Burger with crispy potatoes and peppered may; Black & Blue Burger stuffed with blue cheese and steak sauce and topped with crispy onions; and the Peking Duck Burger with Hoisin Sauce, pickled cucumbers and green onions. 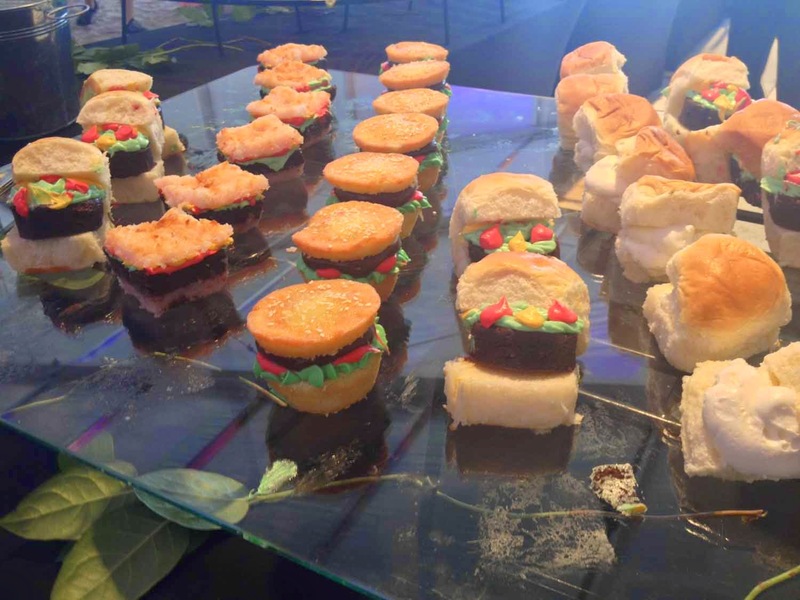 I was also impressed with the burger-shaped desserts. We had a short rest to get an appetite back before the Clam Bake. It did work out that Sam doesn’t eat red meat so she didn’t have much at Burger Bash and I can’t eat seafood so I didn’t have anything at the Clam Bake. The band playing at the Clam Bake was excellent. We had a good time listening to music from the last 30 years while we sat at long tables and talked to the other guests. 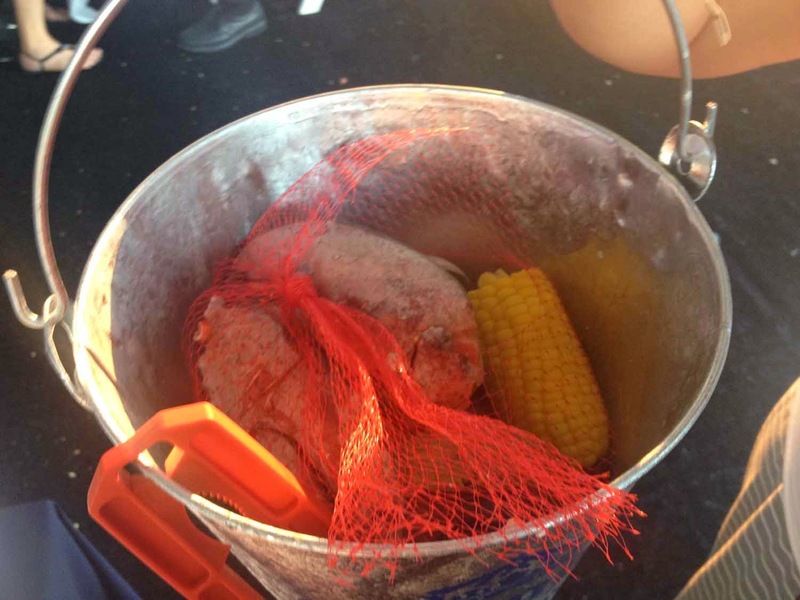 Everyone (except me) was given a Corona bucket that contained a whole lobster, clams, corn on the cob and potatoes. 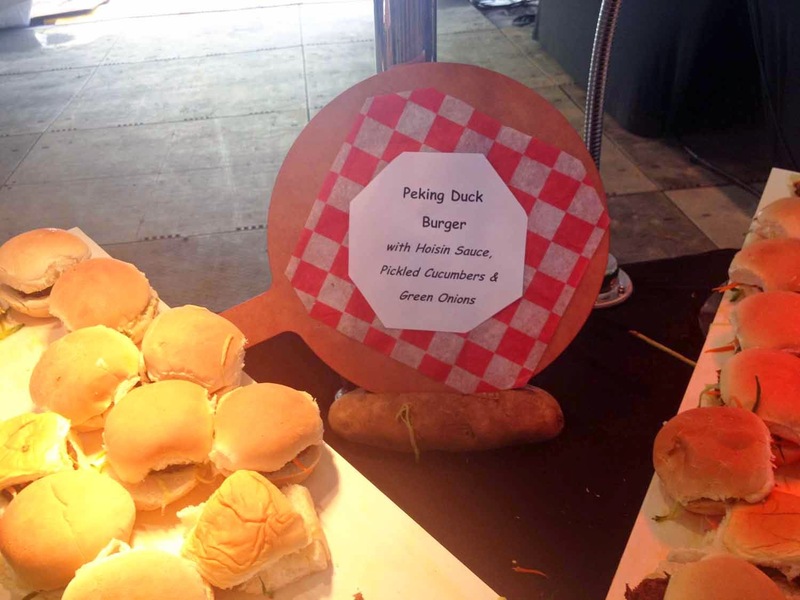 There were also salads and clam chowder on buffet tables. 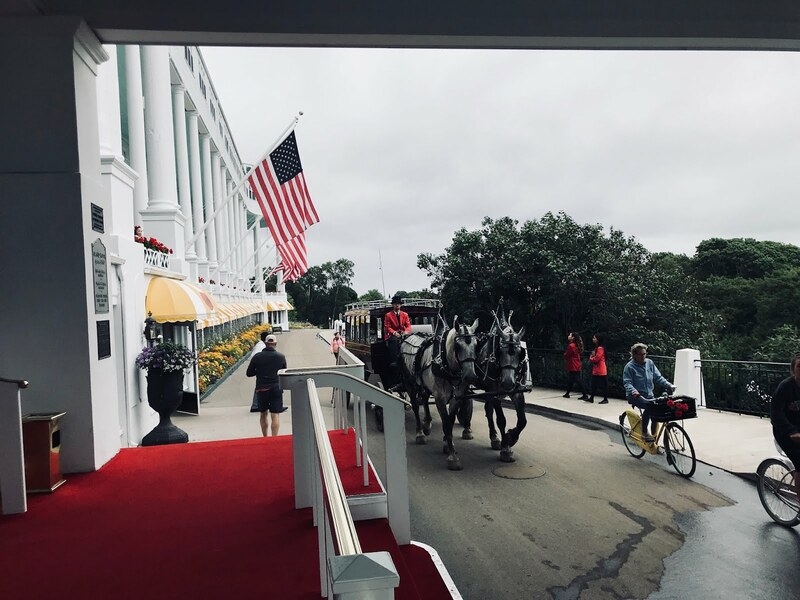 I was careful not to touch anything other than a Malibu and soda and a Jack Daniels Tennessee Honey with iced tea from the bar. Marcus Samuelsson stopped by and greeted the guests for a few minutes before we left to shower and get ready for the final event of the day, the Beach Soiree hosted by Robert Irvine. We were a bit early so we went up to Nero’s Steakhouse in Caesar’s Atlantic City and had cocktails. I really liked their Sucker Punch (Belvedere vodka, triple sec, simple syrup, passion fruit purée, and cranberry juice). After we finished our drinks we went back to the Caesar’s beach tent. 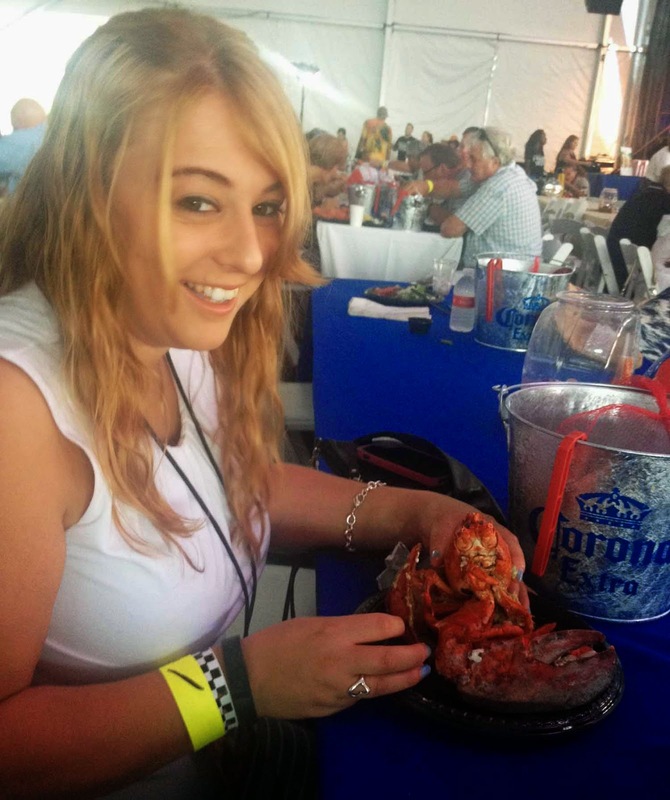 Sam and I both felt that it was the best event of the Atlantic City Food and Wine Festival. There were lots of cocktails and gifts for the guests. Viniq made some delicious drinks and the DJ was great. 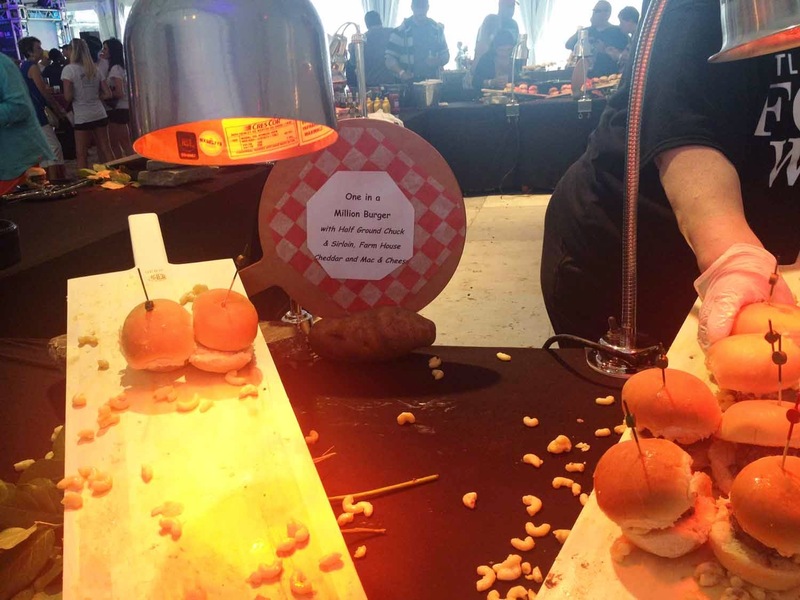 Although the description of the party said “passed hors d'oeuvres,” there were stations with food such as Bacon-wrapped Wasabi Stuffed Shrimp with habanero tartar sauce, South Florida Stone Crab Conch Fritters with passion fruit, and Mini Cuban Pressed Spring Rolls. 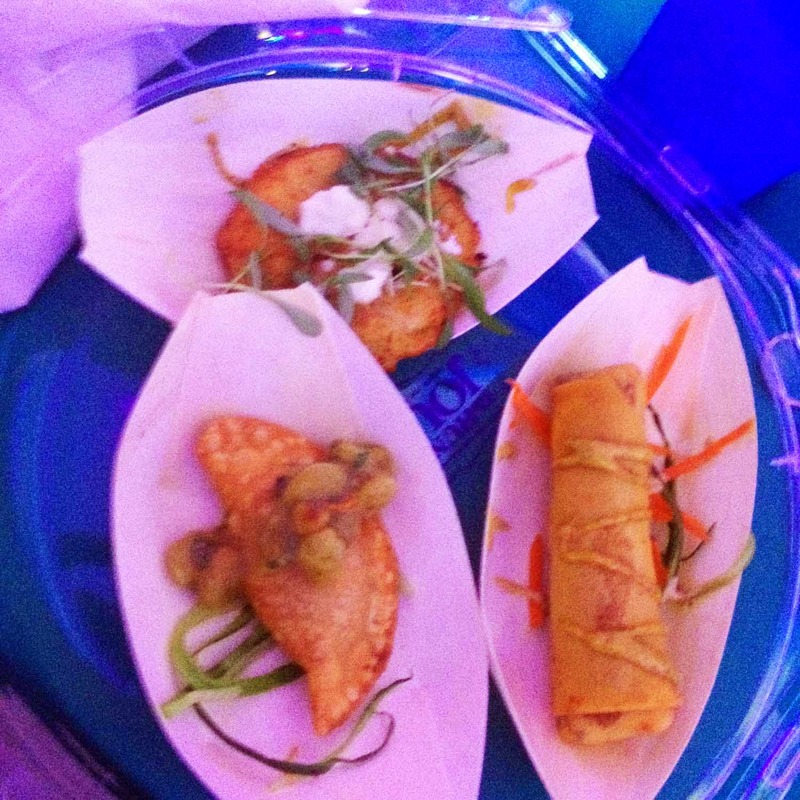 My favorite was the Cuban Roasted Pork Empanadas with golden raisins and salsa verde. Sam loved the Jerk-spiced Mahi Tacos with mashed avocado in sambal aioli with green apple slaw. For dessert, we had a replica of one of my favorite treats growing up – Coconut Snow Balls. Robert Irvine greeted the audience and spent a while on stage interacting with the audience and taking selfies with many of the guests. 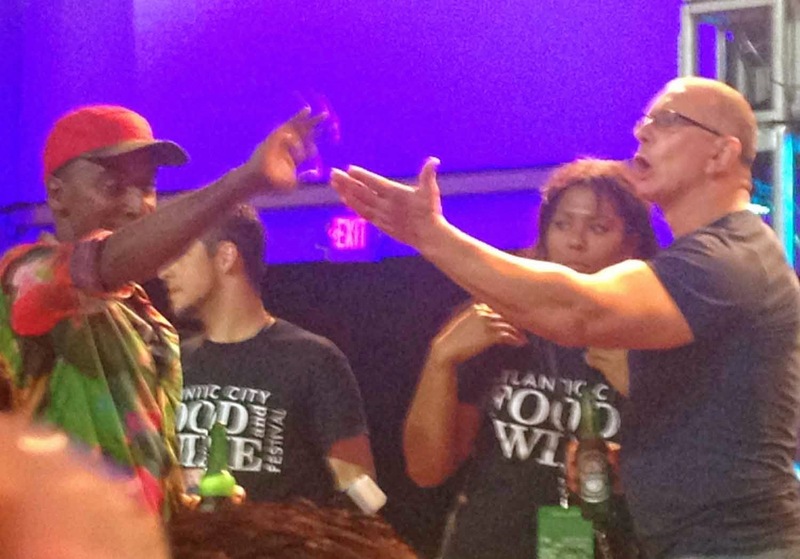 Marcus Samuelsson also joined him on stage. It was a long day, but we made it through and finished with a great time at the Atlantic City Food and Wine Festival.